Rev Dr Anne Kazich left medicine in 2012 to train as a Church of England priest. In 2018 she returned to NHS general practice, having completed the GP Induction and Refresher Scheme. She now works as a part-time GP and part-time priest in Skelmersdale. I knew I wanted to be a doctor from the age of 10. I went to medical school in Hamburg and then came to England and decided to become a GP here. I loved the idea that you get to see patients through from birth to death. Once qualified, I started working as a GP in Liverpool. I loved being a GP but my faith has always been important to me. After a few years, I found that the practice was getting busier and the culture wasn’t supportive. 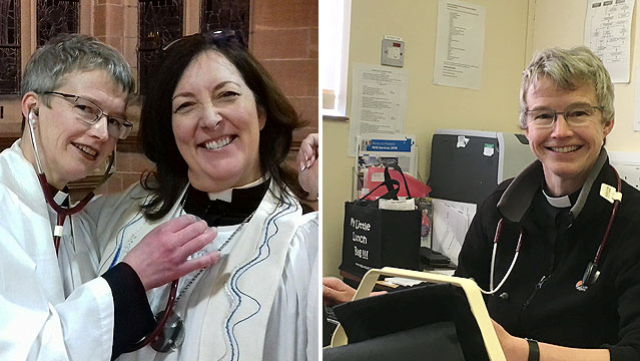 In 2010 I moved into a part-time salaried role and eventually left general practice in 2012 to begin training as a priest. During my curacy in Skelmersdale, I became aware of the socio-economic issues in the area and saw myself having a community-based role as priest, but at the time there was no funding. I always felt my 'ministry' was not within church, but among the people in the community. So, in 2017 I started exploring returning to general practice via the Induction and Refresher Scheme. After the initial interview and paperwork, I sat an exam, which wasn’t nearly as hard as I thought it would be. I was then given a three-month placement with the Beacon Primary Care practice, which was great and very supportive. They tailored my timetable according to my needs and I had regular tutorials. At the end of my placement there was a final review and a written placement report, after which I was ’signed off’ as ready to go back as a fully qualified GP. In June 2018 I started working at Beacon as salaried GP. I work three days a week as a GP and two days as a priest, which works well for me in terms of a healthy balance. Coming back to general practice felt like coming home. As I have a passion for healing and a holistic approach, I’m glad because two vocations have come together in a way I would have never dreamed of. Patients generally react positively to me wearing my collar in the practice; it opens up different conversations. Due to my links within the community, I’m able to do more social prescribing. It’s been a steep learning curve but, after nine months back in paid employment, I feel that I’ve found my bearings. It’s fulfilling and I have a great team who are very supportive. I would recommend anyone thinking about returning to practice to shadow a GP to see how it feels and how things might have changed since practising. If you feel motivated to come back to general practice, the GP Returner Scheme is a well-resourced thing to do. Even if it’s overwhelming at first, you will catch up. Don’t be too hard on yourself and give it time.